That's right! you read correctly! Tap Defender : Aftermath is now in the works (as they say) the sequel to Tap Defender. Yes, we know that we are already working on Project Balance, but this way, we can roll out games at a faster pace! Please either like our Facebook page or follow us on Twitter with the links in the previous post and that will ensure you are always up to date with what In The Works are doing. We are pleased to announce that we now have a Facebook and Twitter! These can be used to reach us and will allow us to keep a close relationship with our users. IOS development and deployment has been put on hold as of today, we don't expect to get Tap Defender on this week and next week doesn't look good either. Of course we will try our best to make it as speedy as possible but we first need to lay our hands on a mac. And that's the main problem, we don't have one! They're not exactly cheap but our dedication will prevail and we should see Tap Defender on the IOS App Store within 2 weeks. Today is a very exciting day for us... Again! Today marks the launch of our first game, Tap Defender, which is available now on the Windows 8 Phone Store via the following link. The game will follow on IOS, hopefully within the next two to three weeks. 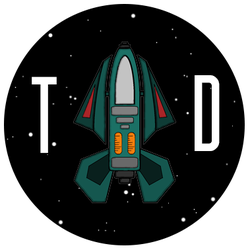 Today is a very exciting day for us; today marks the launch of our first game, Tap Defender, which is available now on the Google Play Store via the following link. The game will follow on IOS and Windows Phone 8, hopefully within the next two to three weeks. In The Works UK is pleased to announce the launch of our new website, but of course you already knew that as you are currently on it. It is also a great way to keep in contact with you, the consumers, give us feedback via the contact us form or post a message in the forums.